I hope everyone’s having a good weekend. Mine is only halfway done because I have off from school tomorrow! We’re having our Columbus Day weekend late! It’s nice to know there’s one more day to sleep in left! 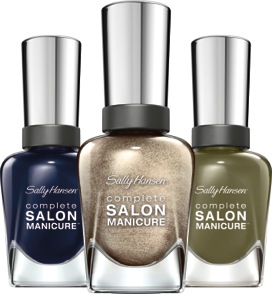 Today I have for you a selection of colors from the Sally Hansen Complete Salon Manicure Fall 2013 collection. This collection featured 3 trios, each inspired by a different fashion designer/fashion label in order to compliment his or her’s fall 2013 clothing collection! Press release pictures are below! The trios provide something for everyone- bright, eye-popping cremes, soft neutrals, and stunning metallics. I have some selections from each of the three trios, so let’s get to the review! Loden Green is from the Prabal Gurung trio, and is described by Sally Hansen as being a “cult favorite”, and I can totally see why! 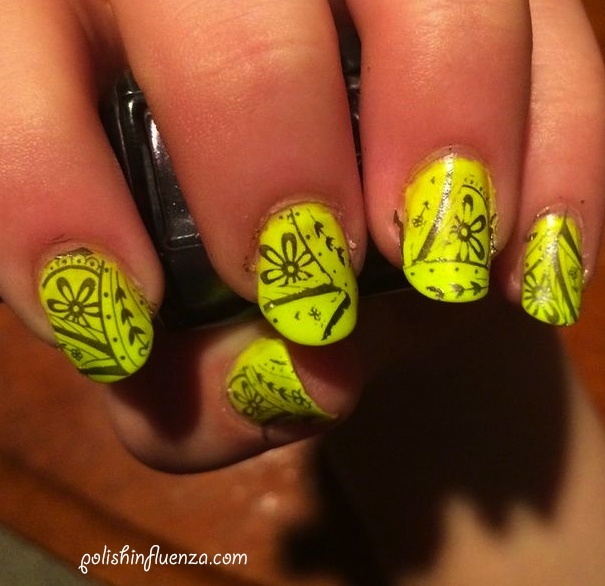 This is a gorgeous yellow-based olive color that applies like a dream- not too thick or thin. The color is extremely unique, and definitely not for everyone, since olive green isn’t exactly a typical nail polish color. I personally am in love with this color, and I will definitely be rocking it for the rest of the fall season! Pictures below are 2 coats, no topcoat. Nightwatcher is also from the Prabal Gurung trio, and is a basic navy creme, leaning a little towards the blackened side. I feel like we’ve seen a color like this from almost every fall collection this year- OPI’s Incognito in Sausalito and Essie’s After Schoolboy Blazer, to name just a few. While the color is really nothing special in my opinion, I really like the formula and application of this polish, almost opaque in 1 coat! I ended up using 2 for pictures below, no topcoat. New Wave Blue is part of the Tracy Reese trio. Tracy Reese has been with Sally Hansen for 15 SEASONS! Can you believe that? That is a woman who knows what she is doing, and it shows in her trio- it’s my favorite color pairing of the fall collection! New Wave Blue is the turquoise creme that I’ve been dreaming of, seriously. The color is so reminiscent of the ocean on a Caribbean island, it takes me back to vacation, which is great for fall when we’re all slaving through school and work. It’s a refreshing color, applies easily, though slightly patchy, but evens out in 3 coats, which is what I used in pictures below! Malbec is also a part of the Tracy Reese trio, and is a deep, almost-but-not-quite plum purple creme. It definitely leans towards red, which you can see around my cuticles in the picture. While I like the color and formula, this one had the most issues for me. It tended to be patchy, and still wasn’t perfect in 3 coats (though the picture doesn’t really show that). While I love the color, the formula just didn’t work, and I’m sad about it. Pictures below are 3 coats, no topcoat. I saved my personal favorite for last. Gold Roses is from the Rodarte trio, and it’s literally a dream in a bottle. It’s a gorgeous light bronzy gold, and looks like foil on the nail. The color reminds me so much of a freshly minted penny, it’s unbelievable. The whole time I was applying this polish, I was praying for there to be no brushstrokes. While there are some visible brushstrokes on the nail, it’s seriously not that much of an issue. I’M SO HAPPY THIS POLISH IS AMAZING. Pictures below are with 3 coats (it was slightly sheer but nothing unworkable) and no topcoat. I’m so smitten with this collection, Sally Hansen and the collaborators have done a fantastic job creating intriguing colors that pair well together. 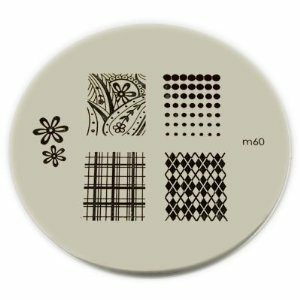 I can’t wait to try stamping with Gold Roses, it’s going to be fabulous over everything, I can just already tell. I definitely plan on picking up the rest of the Rodarte collection, since I’m missing nudes in my polish stash, and that red creme from the Tracy Reese collection because the purple and turquoise just don’t feel complete without it. What do you think of this collection? Let me know in the comments! 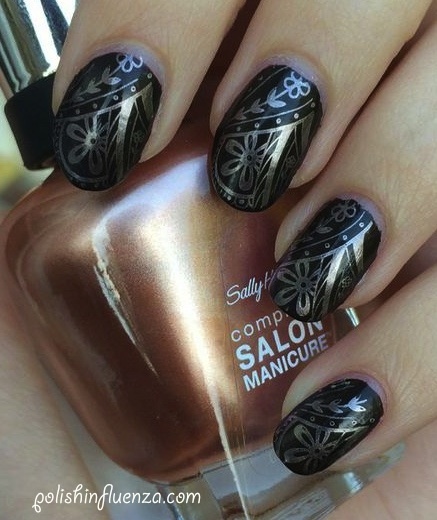 The Sally Hansen Complete Salon Manicure fall 2013 line launched in September 2013, and the suggested retail value is $7.99 a bottle. You can find this collection at drugstores (CVS, Walgreens, Target, RiteAid, etc. ), beauty supply stores, and on Sally Hansen’s website, here. 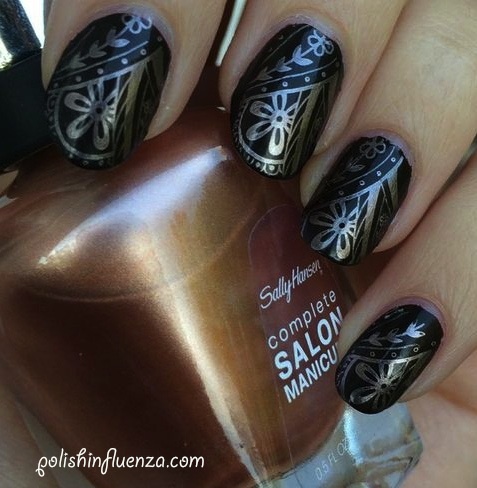 NOTE: The products featured in this post were sent to me for review by a Sally Hansen brand representative. For more information, please refer to my disclosure policy. Categories: Reviews, Sally Hansen | Tags: Complete Salon Manicure, fall 2013, nail polish, Prabal Gurung, Press release, review, Rodarte, Sally Hansen, sample, Tracy Reese | Permalink.